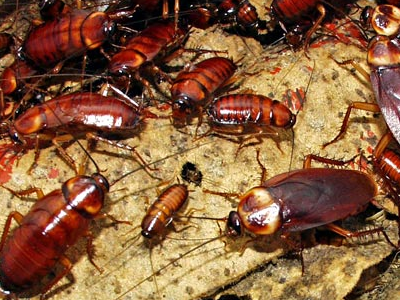 If you see one roach in your home, Eco Elite Pest Control can guarantee that there are many more to follow. At any given time, there can be a few to hundreds of roaches hiding in your home. Because these insects are nocturnal, seeing one during the day is a clear sign of crowding, or overpopulation. Cockroach extermination can be a challenge at times. With our pest control company, you can feel confident that you are getting fast and effective roach extermination for your Kansas City property. As a part of our roach control, we focus on three major points of attack. Contact Kill. Using a product that kills when the roach comes into contact with it. This product is also shared through social contact within the colony. Bait. Roaches eat the bait die and now become the bait when other roaches cannibalize on the dead. This roach extermination is available for residential and commercial properties alike. Make sure that surfaces are clear of crumbs, debris and clutter. Store all food in air-tight containers. Reduce moisture in dark and confined spaces. Ensure all windows, baseboards and door frames are sealed properly.